I had not read a book in over a month. When I haven’t read any book after 3 weeks, I get very angsty. It’s not like I don’t have books around, but this one came at the right time. This a very enjoyable little graphic novel about a woman whose boyfriend is a grizzly bear. It fantastical realism and silliness. 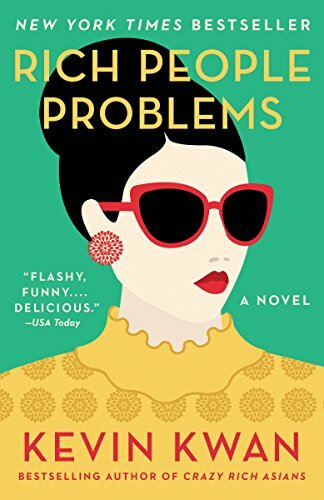 The woman is relatable, but the whimsy of this novel makes it a nice little read. Funnily enough, this is not the first time I’ve read a book where a woman has a relationship with a bear. This graphic novel is a lot more wholesome about it. This was fun. 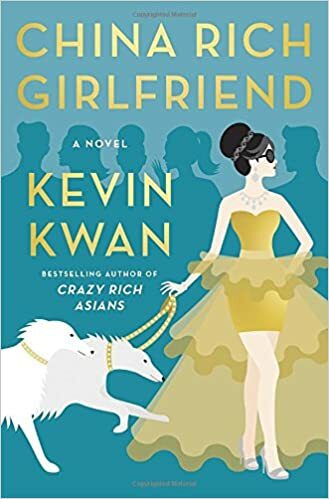 This is the Crazy Rich Asians sequel and another follows this one. I am looking forward to it because I think the author has found that groove. This second instalment in the series is better written than the first. The author changed up some of the format and added more characters. The pace moved along well in the first half. There is still a lot food, Chinese language, and rich people jargon. I continue to like Rachel, Astrid, Nick, and Charlie. Eleanor has developed as well and I like a couple of the new characters. Pacing is a bit better but part 2 dragged a little bit while they were in China and Paris. It was very excessive, but I guess this book is all about the ostentatious wealthy. I did find Astrid’s plot frustrating as well but at least it gets resolved much more by the end. The one subplot that I don’t like is the Kitty Pong one. I understand that she represents a different kind of woman than Rachel and Astrid, but she is far more underdeveloped. I have no real interest to seeing her life in Rich Society. These are minor quibbles. I am having fun with these books. They remind me when I first started reading Sophie Kinsella’s novels more than a dozen years ago. Easy, frothy, and entertaining fiction where I don’t have to think too much. I have been reading more non-fiction lately so I am glad to have found this series. Furthermore, I love the trend of reading mainstream books with Asians who grew up in the West. It use to be a lot harder to find these kind of novels for me, but they are much more popular now. I would caution against reading this in ebook or at least in my very old Kindle. The series uses a lot of footnotes which means being redirected everytime you see them. I started this as an ebook as the novel did not come from the library yet. I made it through Part 1, but returned to Capital Without Borders and waited for the novels to be checked out before I could continue. With a heatwave going on and a wonderful long weekend underway, I wanted a fun summer read. I have been curious about this book ever since I read that the movie was greenlit. This book is definitely the an easy to read summer novel. It has fun travel writing about Singapore and Asia including discussion about its food, fashion, and its people. The last one being the prime focus. The setting and many of the characters in this book are so 1% that this is practically a fantasy novel for most of this world. The families at the centre of the novel are soap operatic in their lineage, marriage traditions, and schemes. The author really knows how to describe Chinese people and Chinese culture. It knows the ugly sides of it and the good side of it, but the book revels too much in the bad sides. Rich nasty people are everywhere though. The narratives switch every chapter and it took me some time to get use to the third person omniscient narration. The writing was not as smooth in that respect, but the dialogue is decent. Some of the characters show promise but there was a lot of time where I had to glaze over the idiots. There are one too many unlikable characters and most of them are rather one-note. They are one-note Chinese though. 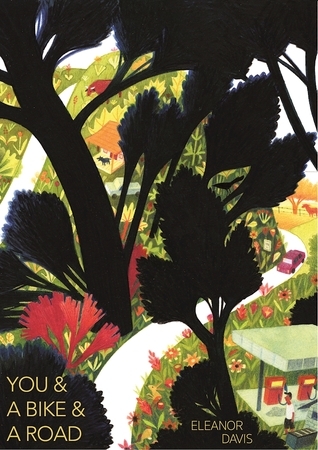 I enjoyed the book for the easy pace and I came to appreciate a lot of the customs, dialogue, food, and language in the book. 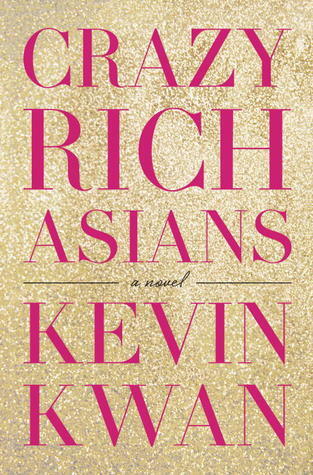 I haven’t read a novel focussed around Asians like this in awhile and definitely not in this setting. This book has the most Cantonese in any Western book. It’s satirical and fun. By the end of it, I had become attached to some of the characters. The book is not going to win best literary award this year; however, I do think I will read the sequels between all my other non-fiction ones. This is an epistolary novel set in 1946. I remember reading about this book sometime after I read 84, Charing Cross Road which is another epistolary novel set in post-WWII Britain. 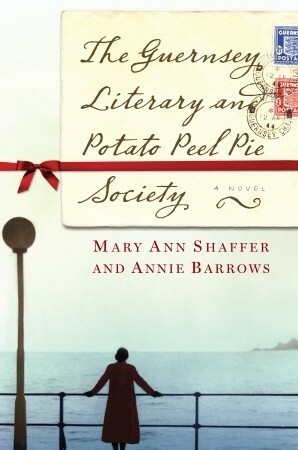 The book shot back up in my TBR list after I heard they made a movie adaptation of it. After a reading break while I went on holiday to Los Angeles and finishing a couple of small books that I won’t review for the blog, I wanted a very light novel for the warm summer weather. The book suits the purpose. It’s very English and has that quirky, cozy tone that can often be found in post-WWII novels. You either like this kind of tone or you don’t and most Anglophiles like myself do find it cute. I liked the novel overall and it did engage me considering it’s created in letters. There are some lovely relationships throughout. The one thing that I found a bit too maudlin about the book was that they anchored focus on a character that is not alive during the novel. This reverence that all the characters (including the protagonist who never met the person) was understandable in the minds of the characters, but I felt was too disproportionate in the novel. I think the authors could have eased back on it and still have all the characters and plot be developed in the other ways. As a result, this character felt to me like a plot device more than actual character. Maybe that was the point? Other than that and some cheesey over the top villains, it’s a cute novel. It’s the kind of thing that would make a great English period movie. I can’t wait to watch it. This was actually my first Jane Austen biography. I have read all her fiction and I have read other sources about her life but not in a proper biography. I thought it was time to pick one up especially since I like Worlsey as BBC history presenter. The book took me longer than usual to read but perhaps typical of a longer nonfiction book. I found the beginning hard to get into. There was something about Worlsey’s writing style that I needed to get accustomed to. It was conversational and I did get use to it. I really appreciated the broader, historical context of the era including details about health, gender, home life, economics, Georgian society, and and the Napoleonic wars. It is a shame that she died young. As usual with historical books about women, I appreciated the rights and privileges we have now. A good read for those who like Austen and the era. This is a graphic travelogue that the author drew while on a bike trip from Arizona to Georgia. I really enjoyed the simplicity of the drawings. There is no colour and there is a lot of white space. In an odd way, I was able to appreciate the beauty of the landscape in my own imagination as rendered by the author. This is a type of raw and sincere storytelling. I also loved the many stories of her encounters with strangers including how many were so beautifully kind to her. It’s a very simply drawn but a very enjoyable little book. 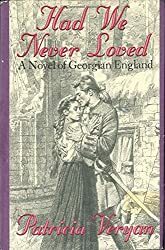 I had recommended to read Veryan’s novels after I asked for authors similar to Georgette Heyer. I was starting to miss reading her fluffy romances and did not like her mysteries. This novel is the second in a series so I was a bit confused with the first chapter, but caught on. I also understand that there are other Very books which may be better. 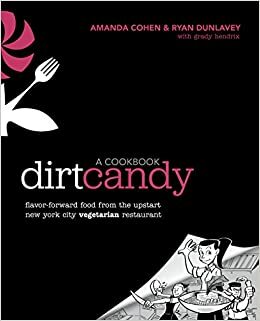 There were a few times when reading that I wanted to dump this book, but I’ve already dumped a couple of other books this year. This is the year for me to dump books. All in all, I was bored. I didn’t really enjoy the main romance. The leads were fine, but I did not feel connected to either of them. It also read like a bad romantic comedy at times with them being from such vast differences. I was also at times more interested in side characters like Katrina Falcon. I found that this novel had too many male characters and male perspectives and not enough female ones. I do not think any two females a sustained conversation in this whole book. Something I enjoyed about Heyer was the relationships she had between characters of all genders especially the platonic ones. I did not find main conflict compelling because the whole revenge plot was on the silly side. A bunch of men devise to entrap a family using a jewelled pin as the cause. I will try Very one more time or even another, but this was a pass for me. Recently, I was able to watch some of Tiffany Haddish’s talk show interviews. She was funny, engaging, and has some of the most charisma I’ve seen in an entertainer. She promoted this book so I was able to retell some of the stories. Originally, I had intended to read the ebook and listen to the audiobook afterwards or at least least listen to some of the audiobook. However, the book is small and engaging enough that I listened to the whole audiobook while doing chores and sowing seeds on Good Friday. Haddish had a rough upbringing. She spent time in the foster care system, her mother was abusive, and she struggled to become a comedian. As an adult, she had a series of bad relationships including an abusive ex-husband. A lot of the stories in the book are very sad and heart breaking as a result, but since Haddish usually spins it into a funny or honest way, it’s not always depressing. I really empathized with at various points in the book. She described when she realized that her boyfriend had been cheating on her. I had suffered a deep betrayal once and her feelings then resonated with how I had felt too. There are a couple of stories in this book that have received criticism on the language Haddish uses. There is a story which many will find rife with ableism, but I don’t ever feel Haddish is malicious. I feel the book weakens towards the last quarter as it becomes snippets of Hollywood encounters. It’s not really describing in detail her experiences more little anecdotes here and there with famous people. It becomes more disjointed towards the end. 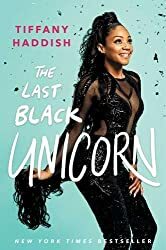 While the audiobook was really narrated by Haddish, it does not have the same amount of energy as her TV appearances. I do wonder how it would have been to read it as well. 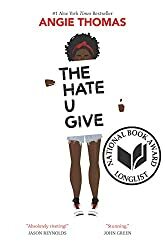 I am glad to have listened to this book because Haddish has been able to become empowered and overcome a lot of her past and upbringing. Listened to audiobook March 29-30, 2018.